It’s been a sad week for a number of reasons. While the countdown to tomorrow’s nationwide White Sunday celebration is no doubt keeping most of us preoccupied, the loss of precious lives through vile acts of crime and the unforgiving nature of the ocean hurts deeply, especially if you are related to a couple of men whose journey have been ended unexpectedly this week. Firstly there was Falefou Lemana, of Togafu’afu’a and Nu’u. The young man, who had his whole future ahead of him, was brutally murdered last weekend during a fight between a group of men in Apia. The second victim was apparently admitted to the Tupua Tamasese Meaole Hospital where he is fighting for his life. We pray that he recovers well and quickly too. The loss of Lemana’s life is a real tragedy and the last thing we want to happen is to lose another life. From what we’ve been told, what led to the killing is very similar to how many similar instances start. Alcohol was of course a key factor. 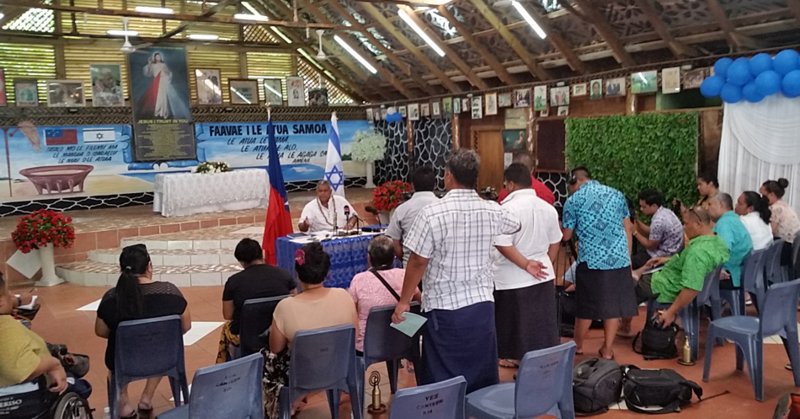 An uncle of the deceased, Peleti Schwalger, told the Samoa Observer that after a drinking session, they were on their way to get some food when a fight broke out. “Falefou was trying to help his cousin who was involved in the fight when he was stabbed and died,” Mr. Schwalger said. Falefou has become the latest victim of stabbing incidents in Samoa in the recent past. What we are seeing is an increase in the number of such incidents, which is disturbing to say the least. Contacted for a comment, Police Superintendent Soloi Iosefo Tuimaunei said they are investigating. This latest alcohol-related death comes in a week where Supreme Court Justice Lei’ataualesa Darryl Clarke raised a critical point about alcohol abuse. Presiding over a case where a man has pleaded guilty to manslaughter as a result of an incident, which again involved alcohol, Justice Leiataualesa has appealed to the Liquor Board to impose conditions on liquor outlets to ensure alcohol is not sold to intoxicated customers. The appeal followed what the Court was told that the deceased and the defendant were heavily intoxicated. Despite being inebriated, they were given more alcohol. We couldn’t agree more with Justice Leiataualesa. Far too many people in this country are dying from one alcohol-related incident after another. Speaking of alcohol, one of the biggest problems in Samoa is easy access to alcohol. For a country with such a small population, we have got enough alcohol variety to get an entire continent drunk. Which brings us to a couple of questions: Who regulates and controls how much alcohol and how people access such products? Should there be a limit on the variety of alcohol being allowed in Samoa? The point is that we cannot continue to talk about responsible drinking and flag these products in people’s faces everywhere they turn. Which is precisely what is happening in Samoa today. Speaking of which, this is White Sunday weekend. The irony is that while it is a time for families and children, alcohol will inevitably ruin many of those relationships, especially at the hands of people who cannot handle it. Here’s a simple plea, if you cannot handle alcohol, stay far far away from it. Water is great. If you are really thirsty, try a soft drink, tea or coffee. You will still enjoy a kick of some sort, if that’s what you’re looking for. Away from alcohol, the second tragic incident where a life was lost involved a lifeguard at Return to Paradise Resort, Lefaga. A man of many talents, Porter, Driver, Zumba leader and Lifeguard, Talalelei Vou, from Salamumu died while trying to save a tourist from drowning. Return to Paradise Assistant Manager, Mel Toailoa, said a hotel guest was caught in a strong rip in a channel where hotel guests are warned not to enter. “Talalelei along with his manager Mika, were the first respondents to the incident, managing to extend a lifebuoy that ultimately saved the guest’s life,” Toailoa explained. This White Sunday will obviously not be a happy one for Tala’s wife, Sarah and their families. Instead of celebrating, they are in mourning. We cannot imagine the pain and suffering. But know this, Tala did not die in vain. In saving another man’s life, he has done what is arguably the greatest sacrifice a man could do for another human life. Tala in our eyes is a hero, one whose deeds will be remembered for a long time to come, not just at Return to Paradise and Lefaga, but wherever his story will be read and shared. We express our deepest condolences to the families who have lost their loved ones. We pray for peace and comfort during these trying and very difficult times. And given today’s last minute rush for White Sunday preparations, we also appeal to our readers and all members of the public to take extra care out there. It only takes a split second for tragedy to strike. Stay safe, have a peaceful long weekend Samoa, God bless!